In this episode of Falmouth in Focus we attend a community dinner held at Waquoit Congregational Church, learn about a monthly ballroom dancing class here in town, hear from Falmouth Public School students about their projects in the annual school and engineering fair, speak with one of the presenters from the Falmouth Public Library's fake news talk, and much more. This week on Falmouth in Focus we we take a look at a local coffee shop's popular chalkboard drawings, attend a Harambee celebration in Woods Hole in Honor of Black History Month, watch the raising of the Super Bowl Banner at the High School, learn all about laughter yoga, and much more. In our 33rd episode of Falmouth in Focus, we get an update on the progress of the West Falmouth Library Renovations, we learn some tips for running in the winter, hear from the No Guff week winner, and much more. Coming up in this episode of Falmouth in Focus: we attend a post-inauguration soliday gathering on the Village Green, check out this year’s Falmouth Public School’s "No Guff Week" video, visit Tony Andrews Farm as it goes on the market for the first time in 80 years, find out what institution just marked its 200th year in Falmouth, and much, much more. This week on Falmouth in Focus we attend a unique fundraiser in honor of a child battling cancer, visit a multicultural event at the North Falmouth Elementary School, hop in a boat for a Buzzards Bay Coalition bird and seal watch, check out the Steve Cishek Wiffle Ball Tournament, and much more. Liz Lerner hosts our look back at 2016 in a special hour and a half edition of Falmouth In Focus. In this episode of Falmouth in Focus we take a look at the Holidays by the Sea weekend, learn about the Calmer Choice program, meet some student mentors, attend a "shop local" event at the Museums on the Green, and much more. This episode of Falmouth in Focus includes stories about the Holidays at Highfield Hall, the return of students to Teaticket School, the Companion Animal Program, and the annual VIPS track meet, two adorable adoptable cats from People for Cats, a look back at the Falmouth Clippers football season, Claire Beams at Falmouth Academy, Troy's Take at the Highfield Theater and more! 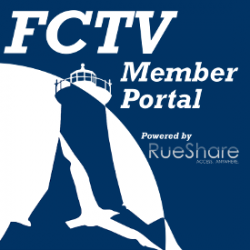 This episode of Falmouth in Focus includes stories about the town's Veteran's Day Ceremony, the new workforce affordable housing from the Falmouth Housing Trust at One Chancery Lane, Falmouth Clipper football, the fishing report from Ryan Collins of My Fishing Cape Cod, two adorable adoptable dogs from Friends of Falmouth Dogs, the New England Patriot's special visit to Joint Base Cape Cod, the flag laying at Bourne National Cemetery, the Coonamessett Farm EcoCross with Corner Cycle, Troy's Take with a local artist and more! This episode of Falmouth in Focus features Bourne Farm Pumpkin Day, the Blessing of Animals at Waquoit Congregational Church, a profile on local artist Salley Mavor of Wee Folk Studios and much more. In this episode of Falmouth in Focus, we take a look at the North Falmouth Elementary School, stop by the Falmouth Family Emergency and Fire Preparedness fair, take a trip with high school art students to Penikese Island, check out the Scallop Festival and much more. This episode of Falmouth in Focus features: the recent local election results, a September 11th memorial ceremony in town, how the school year is going for the Teaticket Elementary School and in their temporary locations, an update from Falmouth Police Chief Dunne, a fishing report from Ryan Collins of My Fishing Cape Cod, an adoptable cat from People for Cats, a benefit concert for Louisiana flood victims, David's Old Silver Swim that raises money for Compassionate Care ALS, a member spotlight on the Falmouth Chamber of Commerce's new show, Troy's Take featuring ALS One and a special bus-karaoke song from Mullen-Hall teachers and much more! In this episode of Falmouth in Focus we have the highlights and stories behind this year's New Balance Falmouth Road Race, we take a look at the new Solar Array in town, we learn about a way Falmouth is making its beaches accessible to all and Troy brings us his take on a historic location in town- all this and much more on this edition of Falmouth in Focus. In this episode of Falmouth in Focus we take a look back at the Falmouth Commodores eventful season, we visit the Falmouth Police Departments National Night Out, we update you on the progress of the new water treatment facility, and Ryan Collins of MyFishingCapeCod gives us his fishing report. All this and much more on this episode of Falmouth in Focus. This episode includes stories about the Barnstable County Fair, the 25th Annual Woods Hole Film Festival, the Kanreki exhibit at Highfield Hall, the West Falmouth Library Capital Campaign Groundbreaking and much, much more! In this edition of Falmouth In Focus: The Hokulea, a replica of an ancient Polynesian double-hulled sailing canoe; the Mashpee Wampanoag's 95th Annual Pow Wow at the County Fairgrounds; Summer at WBNERR; the Curling Club's Summer Speil; and more! This edition includes stories about the Friends of Nobska Light and their plans for the future, two local authors whose unique book was recently released, our new Fire Chief Michael Small, a tree dedication in honor of the late Deputy Sheriff John Kotfila Jr and much, much more. In this edition of Falmouth in Focus, we take a look at the Steamship Authority's new Hybrid ship the Woods Hole, visit the Falmouth Commodores to find out what fans can expect this season, learn about WCAI's unique radio project, cheer on the runners of Flag Day 5K, and much more. This week's edition covers the latest news from Town Hall, Mike Lopes' jersey number retirement at FHS, Herrings on the Coonamessett, jewelry made from one of Falmouth's favorite shellfish, rare amphibians at the Lawrence School, and Al Irish's look back at a century of Commodores. This episode of Falmouth In Focus includes the Nobska Lighthouse Signing, places to enjoy Spring from the 300 Committee, Moment of Yoga with Michele Brandt, new voting machines with Michael Palmer, the vernal pool construction at Falmouth Academy, Troy's Take on Daffodil Days at Spohr Gardens, Three Things From Town Hall, and the Heroes in Transition "Ruck 4 HIT" Relay Race. This episode includes the arrival of the R/V Neil Armstrong to WHOI, a local program that's looking for volunteers to help homeless children, how the "Month of the Military Child - April" is especially significant for one organization, details on all of our road closures and much more! This edition features a music center in North Falmouth, information regarding the Falmouth Amateur Radio Association, the goals behind the new Falmouth Bikeways Committee plan,and the Lawrence School's unique project that combines poetry and engineering. This episode features updates regarding a new playground at Goodwill Park, new owners of Nobska Light and the departure of WHOI's research vessel KNORR. Also featured: the Compost Facility and its potential fee structure, a recycling primer and updates from Town Hall, information about a free CPR class, a look inside the Cape Cod Conference for Women, a local yoga studio offering a donation-based class, Troy's Take about a storytelling event and much more. This episode features an "At the Polls" segment with member producer Kevin Lynch, a visit to a forum about the Rec Center, a trip "On the Road" with State Rep. David Vieira to a local clothing manufacturer, notes from the recent Selectman's Meeting, an adoptable cat from People for Cats, a Harambee celebration down in Woods Hole, a visit to the kinfitti at the Falmouth Public Library, the Falmouth Public Schools Science and Engineering Fair, a look at a new social media venture called 272, Troy's Take at the Falmouth Education Foundation Winter Gala, a check presentation from the Upper Cape Spartans to Wings for Falmouth Families and more!